In Hindu religion Lord Ganesh is most beloved and famous God and worshiped before invoking any God or beginning any ceremonial rites be it marriage, entering a new home or starting a new business venture. Lord Ganesh, Son of Lord Shiva and Goddess Parvati, is the destroyer of selfishness and ego and remover of obstacles. He is easily identified by his elephant head, curved trunk, and potbellied attributes. let’s find out mystical facts about our most popular deity. Ganesh means Lord of gana (celestial beings). As per Sri, Sri Gana means groups of atoms and different energies which form this universe. 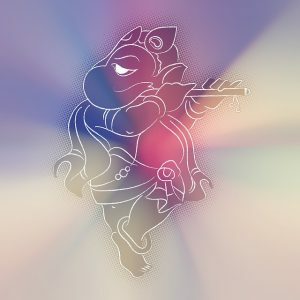 He is a controller of all these groups of atoms and energies so he is known as Ganapati or Ganesh (eesh of ganas). So you don’t need to pray to all celestial beings, Praying Lord Ganesh alone removes all obstacles and pave the way for success. Lord Ganesh’s one of the significant attribute is his wisdom and intellect. His big elephant head gives us a message of thinking big and to remain focused. Ganesh’s one of the attributes is his protruding belly. As per scripture, he is known as Lambodara or Mahodara because he carries entire cosmos of past present and future in his belly. Other symbolism of his potbelly is his generosity. He is very generous in fulfilling desires of his devotees. Now you know why is very famous and beloved God. Lord Ganesh has very big ears and the curved trunk. 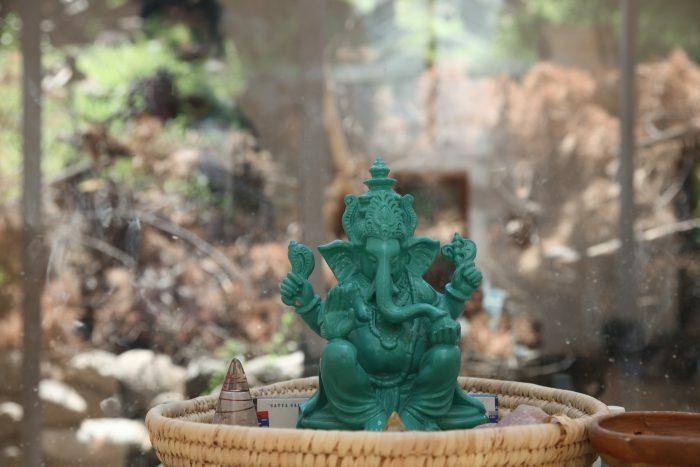 His trunk represents Om symbol and big ears mean he is very attentive and all ears for our wishes and prayers. All budding Artists and writers, please pay attention to this point. Ekdant is one of the names of Lord Ganesh. Ekdant signifies oneness(ekatm) with the Brahma. Did you wonder where is his other tusk? He used his broken tusk to write great epic Mahabharata dictated by Ved Vyasa. Lord Ganesh is a patron of art and letters. Now you know whom should you pray for your success. Every God has their own distinct animal or bird vehicle to drive. Our chubby Ganesh rides on Mouse. His mouse represents ego and desires which should be under control. For controlling ego one must be grounded. Now seeing a rat would instantly give you a message of being grounded and self-contained. Mostly statues and idols of Lord Ganesh depicts four hands. In his upper right hand, he carries elephant goad (Ankush) and in left upper hand Paash(noose). In some statue, lower hands carry lotus and Pot of grains while other depicts Abhay Mudra and rosary. By Ankush, he steers his devotee to be on the righteous path and also using goad where evil ambitions need to be checked. He uses paash to capture all difficulties and adversity of his devotees. In a yogic parlance, Lord Ganesh represents Muladhara Chakra located at the base of the spine where kundalini (Adi Shakti) stays slumber. 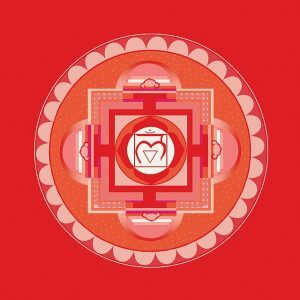 As a first step, in order to awaken kundalini, seeker needs to stabilize the Muladhara chakra. Or in other words, one must pray son Ganesh to please Adi Shakti Parvathi. Lord Ganesh has two consorts Riddhi (one who grants prosperity) and Siddhi (one who grants intellect). Who bore him two sons known as Subh and laabh. You might have purchased stickers of Subh , Laabh and Riddhi, Siddhi during Diwali festival. Now you know the significance of these stickers and the relation with Lord Ganesh. I hope you have enjoyed reading this post.I would appreciate your valuable comments and suggestions that would help me to do better. Quite impressive,time will enhance your skills. 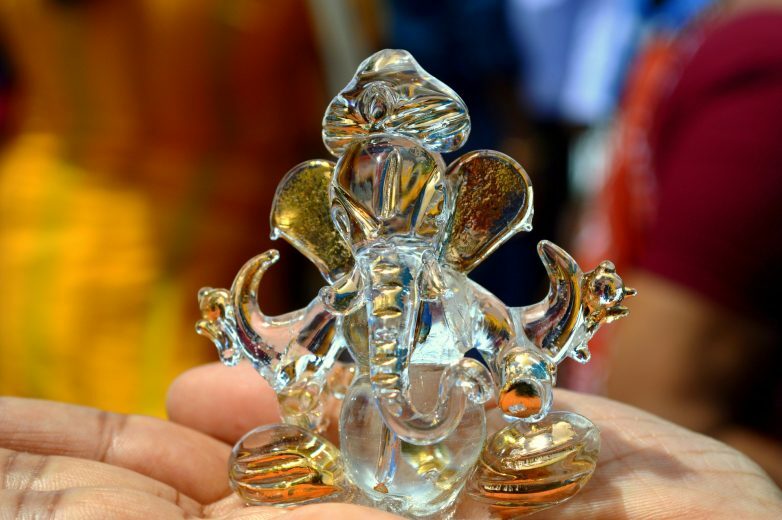 Get to know lots of interesting facts about Ganesh Ji..like ear and why Mouse. Thanks and I’ll post more blogs like that. Thanks for your comment and blessings. Well done Shikha. Nice initiative. Very informative article and beautifully written!! Quite informative all the way for more blogs to come ? Shikha, a very good attempt to present the facts and share relevant information. Keep up the good work. Thanks for your nice comment.It means a lot to me. Thanks and I am glad that u liked my blog.